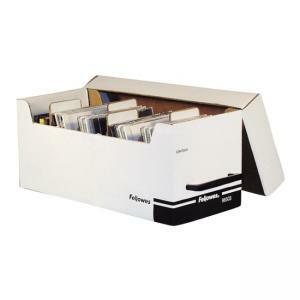 Corrugated file is ideal for desktop or shelf storage for up to 35 CDs/DVDs. Design includes four dividers with self-adhesive labels and a convenient plastic handle. CD/DVD file is made of 65 percent recycled material with 59 percent post-consumer material.